We believe that recreational and competitive sports are healthy ways of building mature and responsible citizens, developing leadership skills, providing social interaction, and promoting full participation in society. Our purpose is to provide structured programs, which offer leadership and encouragement in the development of physical and social skills, with the goal of participating in organized competition, as well as providing access to recreational paddling opportunities for people of all ages and skill levels. To participate in Canoe Kayak Canada (CKC), Canoe Kayak BC (CKBC) activities and to promote and develop all forms of paddle sports, both competitive and recreational. To organize and sponsor competitions, regattas, and social opportunities consistent with involvement in flatwater canoeing and kayaking. To instill in our members the values inherent in good sportsmanship and good citizenship and to develop mature and positive self esteem. 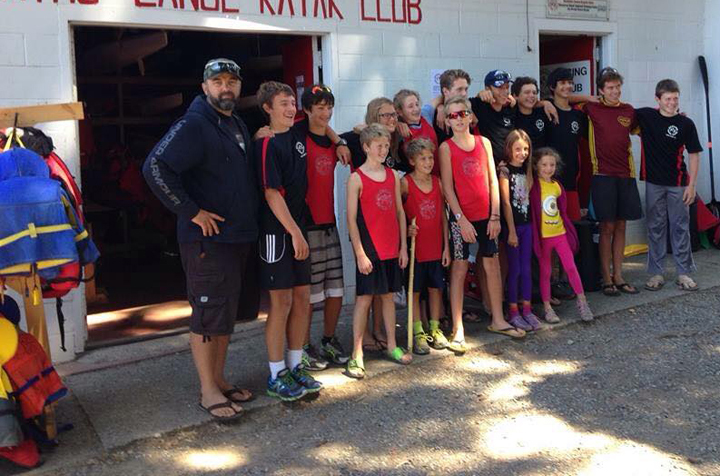 The Nanaimo Canoe and Kayak Club is a member club of Canoe Kayak Canada (CKC), Canoe Kayak BC (CKBC). As a member club of these organizations, we receive communication and administrative support through their central offices, as well as third party liability insurance coverage for sanctioned activities and events. Our memberships also enable individual members to compete in local, national and international events. In 1988, the Nanaimo Flatwater Racing Club was created through the dedicated efforts of a passionate family that moved here from Ontario. Started primarily for the racing of flatwater sprint canoes and kayaks, the club has now grown into a diverse, multi-disciplinary paddling club offering recreational and competitive paddling opportunities in flatwater sprint, dragon boat, recreational canoeing and kayaking and community summer camps. In 1997, the Club was re-named to reflect this direction and provide more clarity in our name. We have been a small, but dedicated group of paddlers throughout the years and have provided paddling services to school district 68, community special events, and the training and hosting of local, provincial and inter-provincial canoe-kayak athletes and competitions. As a member sport of Sport BC’s Regional Sport Delivery System, we are proud to be recognized as the PacificSport Island Regional Canoe-Kayak Training Centre. For more information about NCKC or to learn more about the programs and opportunities we offer, please contact us.